hugh's body. hugh is facing away from his wife. Wallpaper and background images in the Hugh & Lisa club tagged: hugh laurie. This Hugh & Lisa photo might contain suti biashara and biashara suti. I posted this pic for those who didn't get to see the body language i was talking about. He looks as if he's about to kill someone, LOL. 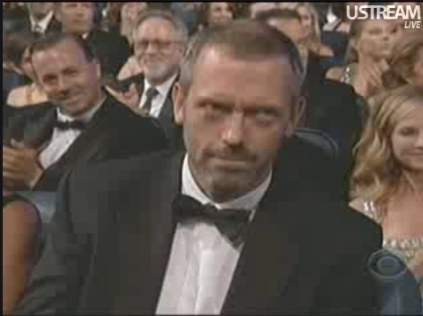 Hugh Laurie seems to be really " UNHAPPY " when he 's with Jo !!! Hugh Laurie seems to be really " HAPPY " when he 's with Lisa E!! !